Facebook have taken a battering over the past few days in the wake of Trump's election, with many suggesting that the social media 'echo chamber' and the algorithmic nature of the news feed kept vital news stuck in a feedback loop, ensuring that it only ever reached people who would have never considered voting for him anyway. The jury's still out on that, but in the mean time, we have this fresh slice of weirdness to munch on. 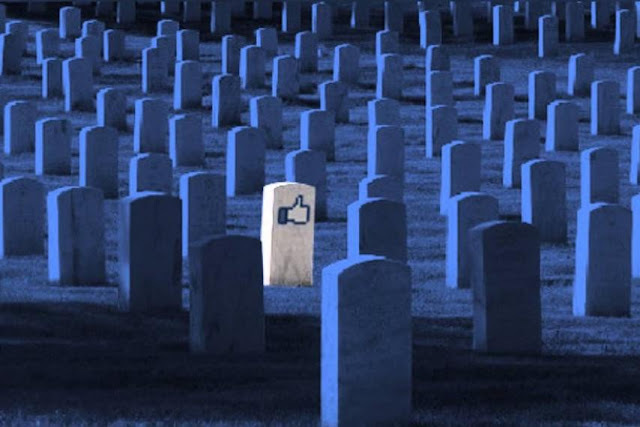 Last Friday, a memorial banner appeared at the top of any and all Facebook accounts, suggesting that people might "find comfort in the things others share to remember and commemorate". So, in sum, Facebook killed us all. The bug was resolved in a matter of hours, but that was more than enough time for thousands of people to screenshot account pages and make sure the news spread all over Twitter like a rash. It's an understandable reaction; Facebook has experienced some interesting bugs over the years but this is surely one of the strangest. You just have to hope that nobody actually thought that they'd lost a friend or family member, even briefly. The statement released after the bug was fixed described the error as "terrible", which I would say is a bit of an overstatement. It's hard to get past the timing of it, to the point where you could be forgiven for thinking Facebook did it on purpose as a joke, given the number of people talking about Trump's victory being a kind of serenade for the apocalypse.